"I only expect a few things when I move. My stuff does not get stolen or broken and that�s pretty much it. These guys did not steal or break any of my items and for this I am thankful. Move with this company if you want to keep your worldly goods safe." 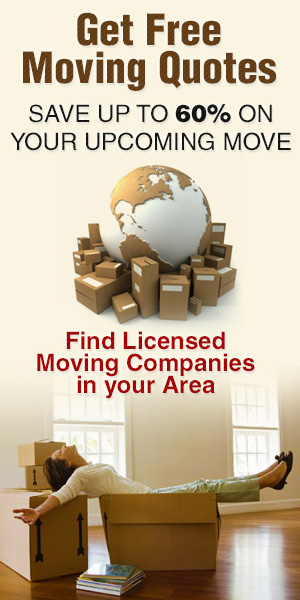 When the time comes to move in Miami, you are going to need a mover that you can more than trust. With Affordable Movers Miami; we take the trouble out of your move so you can get from one location to the other with no stress at all. We have a vast network of movers nationwide and our local moving dispatcher here in Miami is ready to listen to any questions you might have and help you out. The silver moving plan in Miami covers a longer distance in moving and we incorporate 3 movers to get the job done quicker. This plan is more suited for a large 1 bedroom home and smaller 2 bedroom home. You will still get the option of extras like adding a mover at an additional cost but you can tailor this package slightly better unlike the bronze plan. The gold plan right here in Miami is one of our most popular plans. The good thing about this plan is you get our large truck and the choice of a daily flat rate moving plan. It helps because if the move is going to take a while you are on 1 set fee. You also get 3 to 4 movers to finish the job and this is best suited for 3 bedrooms and up homes. The platinum plan is the top tier plan we have here in Miami, this includes packing service and a special flat rate. This plan is more suited for people who are very busy and don’t really have time to pack or take care of the move at all. We pretty much deal with the whole move from start to finish with unpacking services if needed also. This plan can be used for small or larger homes. We have some of the best testimonials from people who moved all over the USA so feel free to have a look and see what they are saying about our movers in Miami and other places across Florida. Aligning the moving services you need with movers in Miami area that can accommodate them is not only daunting, but time consuming as well. Our Company facilitates the task of finding qualified moving companies in your area by identifying the best moving companies according to region and type of move you require.